At I.T.S., we have “indigenously designed” our curriculum keeping in mind an intellectual journey for students with focus on innovation with a series of experiences that will result in efficient learning. 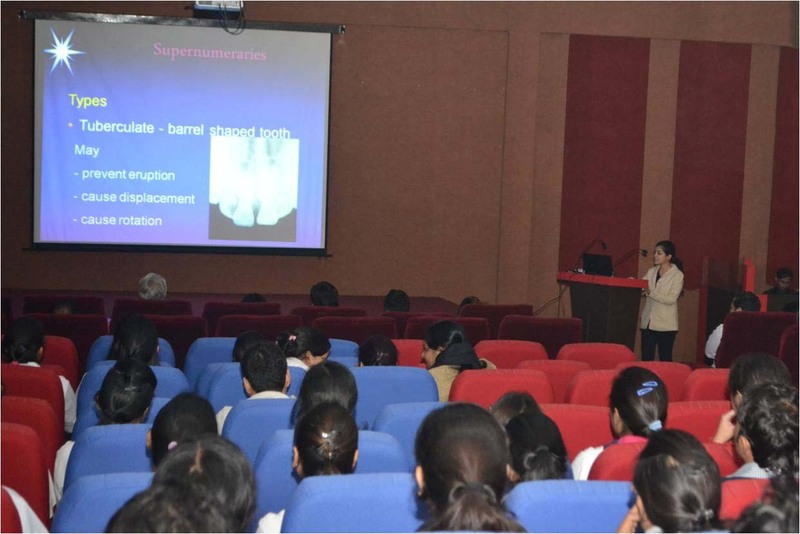 Usually, the dental colleges in India are following the curriculum prescribed by Dental Council of India in 2007. 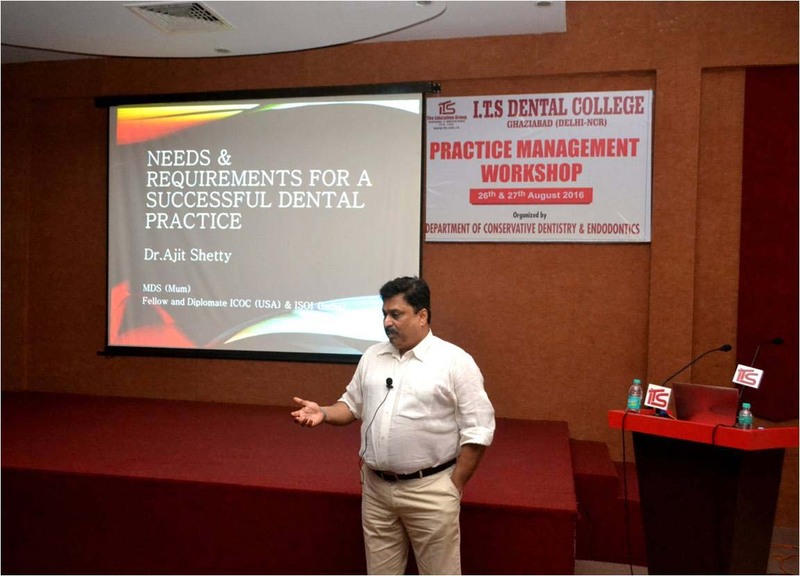 We have evolved the curriculum keeping in mind the requirements of learning the art of dentistry along with keeping our students abreast with latest advancements in the field of dentistry as per international standards. We can proudly state that students graduating from this institution are at par with any international university. I.T.S offers its students ample opportunities in terms of learning and practice. The aim is to achieve maximum learning efficiency with the help of innovative methods in teaching. The curriculum has been developed keeping in mind three essential aspects of professional learning- Academics, Clinical skills and Research. At I.T.S, we have devised an innovative method of integrative teaching where all aspects of a particular topic are covered comprehensively. The curriculum is designed such that each lesson or unit is developed across many disciplines with a common organizing topic. A series of classes are used to teach a unit across different curricular disciplines. This makes each student learn the basics of each subject along with its clinical implications simultaneously. We implement an integrated, interdisciplinary, instructional methodology in which a common topic is studied in more than one content area. It evokes an all round in-depth understanding of each topic which is essential for an evolving subject such as dentistry. This synchronized multidisciplinary approach helps teachers better utilize instructional time and look deeper into subjects through a variety of content-specific lens. Another benefit of integrated instruction is that teachers can better differentiate instruction to individual student needs. 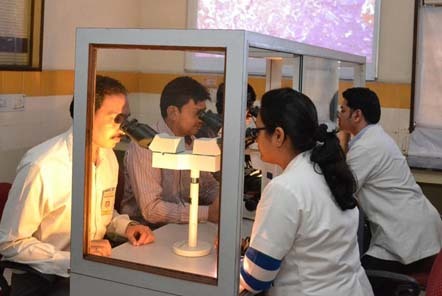 We promote an 'evidence based approach' to revitalize the science underlying clinical decision making, we employ an evidence-based approach in our clinical teaching curriculum. Evidence based dentistry is a patient-centered approach to treatment decisions' which provides personalized dental care based on the most current scientific knowledge. It involves judicious integration of systematic assessments of clinically relevant scientific evidence, relating to the patient's oral and medical condition and history, with the dentist's clinical expertise and the patient's treatment needs and preferences. It integrates clinician's expertise, patient's needs & preferences and clinically relevant evidence in decision making and treatment planning and follow up. 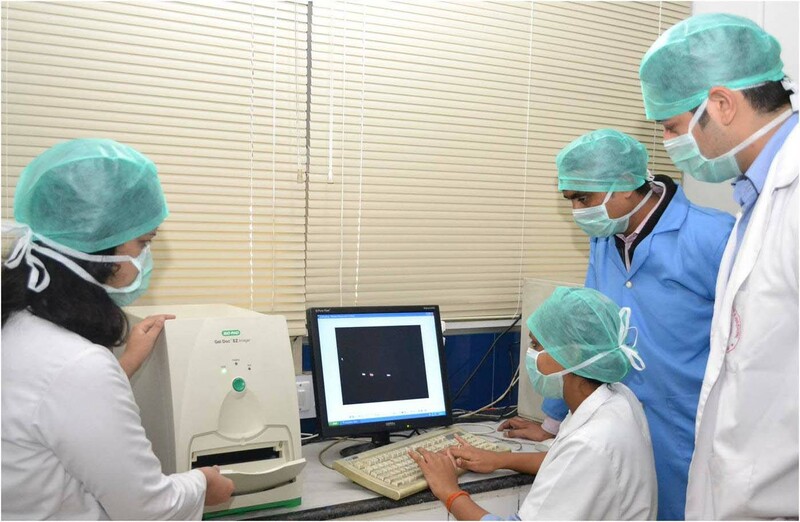 Students at I.T.S Dental College are promoted to plan and formulate diagnostic and treatment planning based on sound scientific literature which enhances their analytical skills. I.T.S. implements a microteaching concept where the the teaching objectives are student centeric, measurable, achievable, relevant, and timely updated. Micro teaching is based upon the principle of limited content. Teachers prepare their lessons within the given content therefore it becomes easier for them to conduct their lessons. Microteaching allows learning each skill to the maximum extent as there is a chance of listening, observing, and practicing. It allows for effective and efficient learning process. It involves formulation of a lesson plan, implementation of learning objectives, adequate use of audiovisual aids, illustration with examples and assessment for effectiveness. It results in enhanced retention of learning methods and skill based performance. 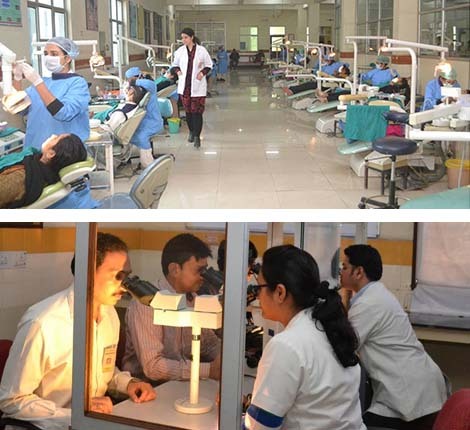 Students at I.T.S are inducted into the clinics and made to do basic clinical procedures such as Root canal treatment, fixed partial dentures and complete dentures from 3rd year onwards so that they achieve maximum proficiency in these procedures by the time they graduate from the institution. 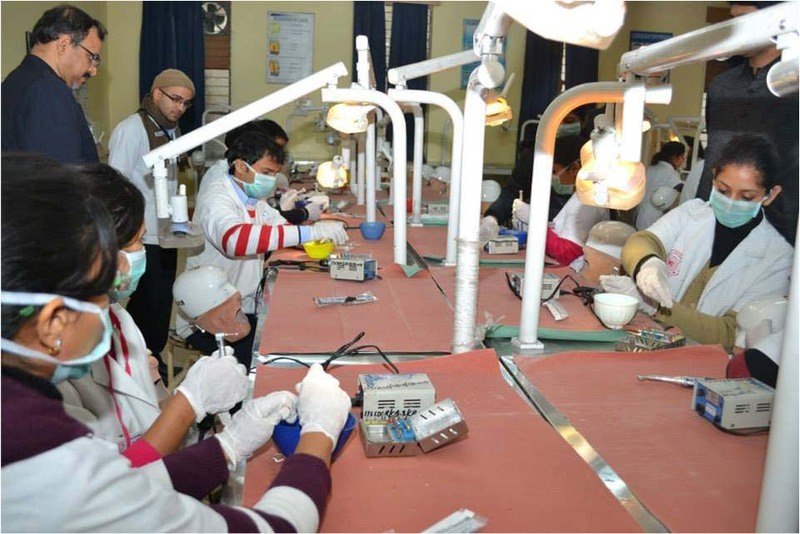 Undergraduate students in I.T.S are one of the youngest dental professionals to place implants in the patients. I.T.S is the only institution in India where students undergo observership in the clinics right from the first year of the course itself. Students observe the faculty in the clinics to cultivate the professional behaviorial skills from the first year of their curriculum. 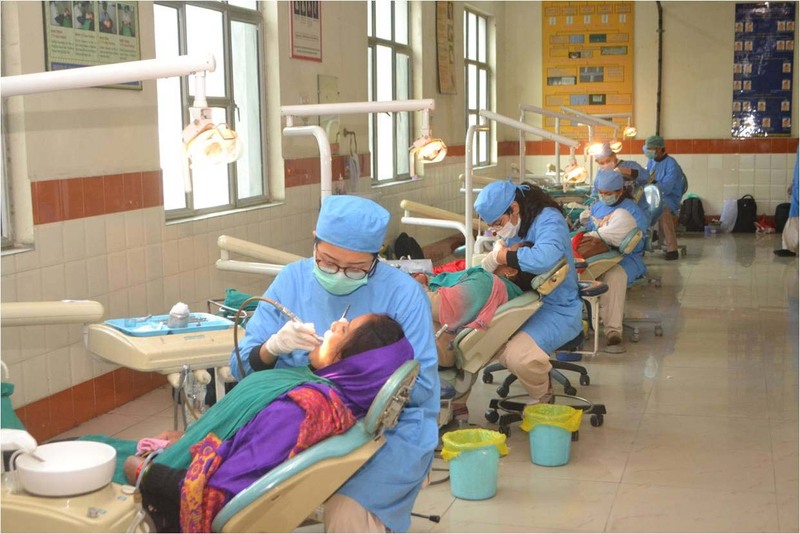 Students at I.T.S work in the most comprehensive dental clinics as part of their learning program. 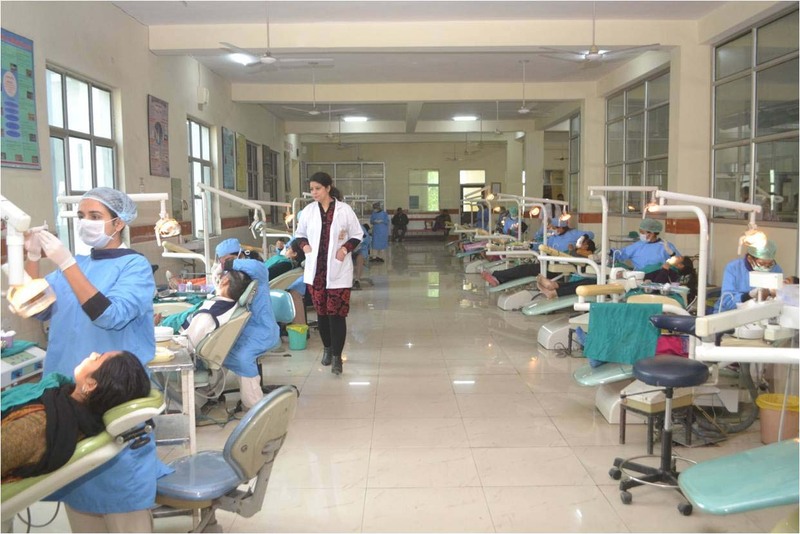 All the students practice in comprehensively designed dental clinics and gain practical dental experience serving in manner similar to private clinics. 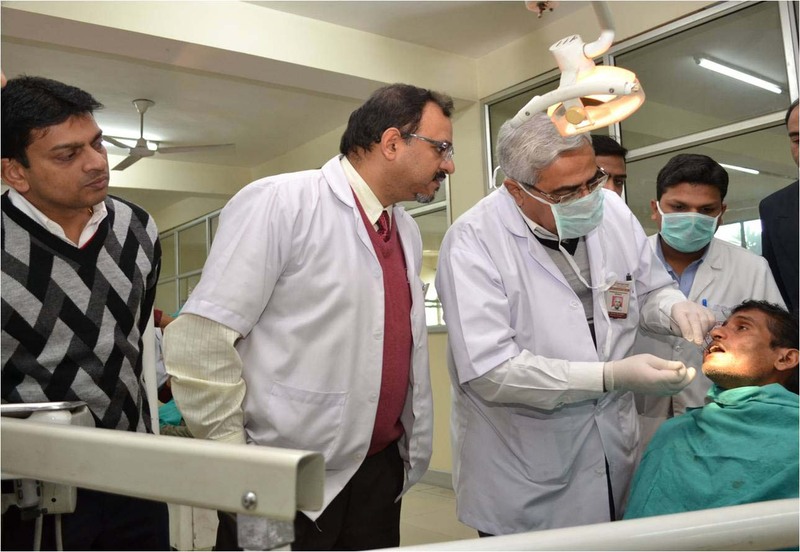 The students provide comprehensive oral health care to the on a single chair thus providing them opportunity for complete treatment planning of the patient and follow up. The students are able to enhance their clinical skills by treating a variety of patients in comprehensive treatment oriented facilities. This also reduces patient’s hassles of visiting various departments for each particular treatment. Continuing education programs are held every month to provide scientifically and clinically relevant continuing education for students in order to review, enhance and expand their basic science and clinical knowledge. It provides an enriching learning experience to all students by providing a platform for healthy discussions on latest clinically relevant topics from various specialties. It helps to create a healthy learning environment among the students. 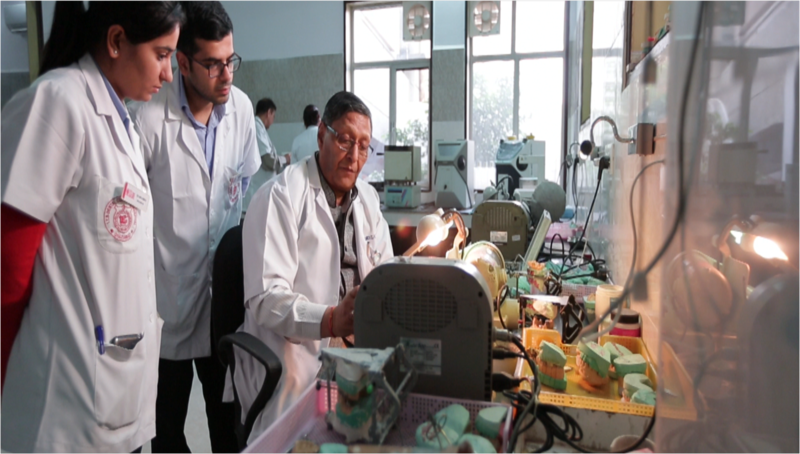 AT I.T.S, there is increased emphasis on learning newer subjects which have been introduced in the dental teaching curriculum in the field of dentistry such as forensic odontology and implantology from the undergraduate level. Specific modules with specific learning objectives have been devised to introduce these subjects with practical applications. Students at I.T.S. are one of the youngest dental professionals to successfully place implants in the patients. 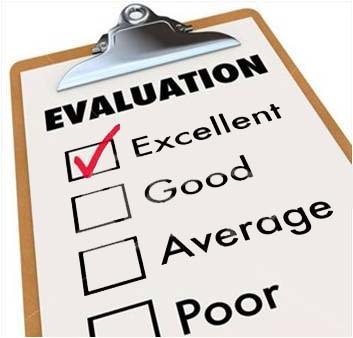 At I.T.S, we employ a Graded Student Assessment to monitor student learning and to provide ongoing feedback that can be used by teachers to improve their teaching and by students to improve their learning. More specifically, it helps students to identify their strengths and weaknesses and target areas that they need to work. It also help faculty recognize where students are struggling and address their problems immediately. It is involves overall assessment of the student based on curriculur and co-curricular activities. It helps the teachers to create appropriate lessons and activities for groups of students or individual students. Teachers can inform students about their current progress in order to help them set goals for improvement. Interactive multimedia teaching modules provide intellectual stimulation with immediate feedback for students. It eliminates the disadvantage of traditional preclinical laboratory teaching is that students have difficulty integrating theoretical knowledge and practical skills resulting in knowledge fragmentation. Multimedia packages of audio, DVD and CD ROM materials are available to students in the central library. At I.T.S. , we teach fine skills of practice management to each student so that he can be confident of managing his/her practice in an efficient manner when he graduates for the institute. We also teach our students soft skills that include communication, management, leadership and team building skills. All this is important to communicate effectively with patients, in particular, to use active listening skills, to gather and impart information effectively, to handle patient emotion sensitively and to demonstrate empathy, rapport, ethical awareness and professionalism is crucial.